Oooh, this is news we like to see, especially as sports fans. 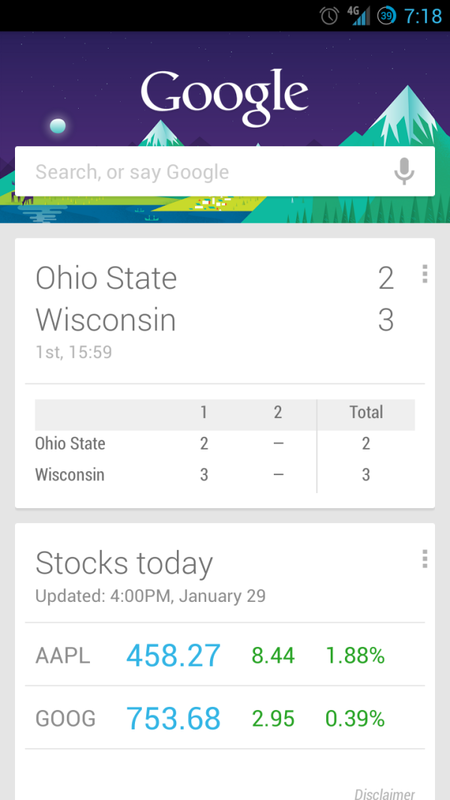 According to a reader of ours on G+ and our own Nexus 7, Google Now is apparently showing college sports scores for some users, a feature we have been begging for since the beginning. What’s odd, is that it appears to only be working on the Nexus 7 (or tablets) at this time and not phones. You also can’t go into the settings for the Sports card and add college teams at this time. I just spent a few minutes doing college basketball score searches in Google on my Nexus 4, but was unable to see the new college sports scores card. Once I picked up my Nexus 7, though, the new cards were already waiting for me (Michigan game above). 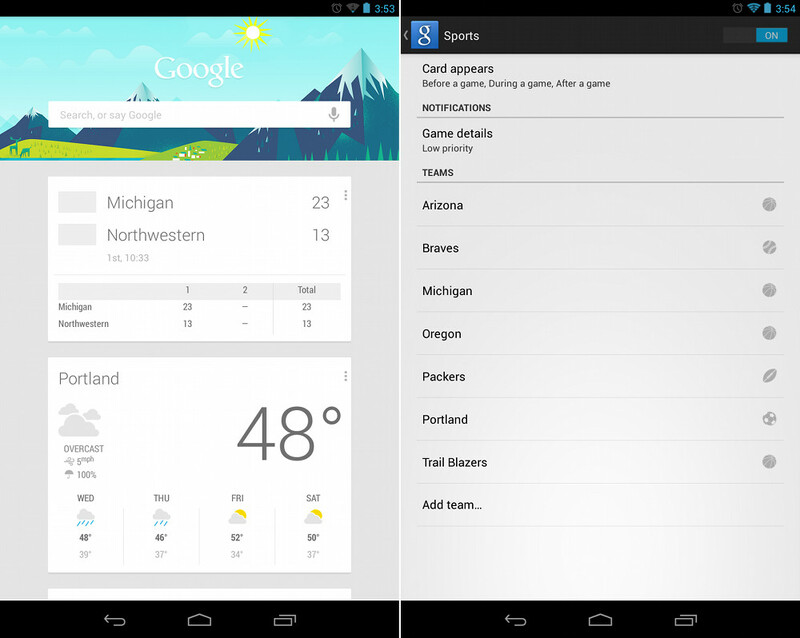 Also, once I went back into the Sports card settings, I now had Michigan and Oregon added to my list of teams even though I was denied that option on my Nexus 4. Update: Sir @MettaWorldTroll is able to see the scores on his phone as well – as are others. Now I feel left out. Weird, but awesome. Anyone else?